There can be no changes to the police reform deal between the US government and Ferguson, the Department of Justice said after the Missouri city asked for seven amendments. The agency has filed a lawsuit over the issue. The DOJ filed the civil rights lawsuit against Ferguson on Wednesday, after the city council voted unanimously on Tuesday evening to adopt seven changes to the “consent decree” agreement with the federal authorities. In the lawsuit, the Justice Department states that the city, via its police, municipal court system and the city's prosecuting attorney's office, "engages in an ongoing pattern or practice of conduct, including discrimination, that deprives persons of rights, privileges and immunities secured and protected by" the US Constitution and federal law. "Unable to reach a mutually agreed upon court-enforceable settlement to remedy the department's findings, the lawsuit was filed today," the Justice Department said in a statement to Reuters. The struggling St. Louis suburb says the amendments would help them cope with the costs of reforming police practices the federal government has criticized as racially biased. Proposed by Wesley Bell, an African-American councilman elected last spring, the amendments reject pay increases for city employees (including police) and hiring more staff for the city jail; include provisions for local preference when hiring consultants, contractors and third parties, and add “project goals for minorities and women” within those arrangements; and caps the monitoring fee at $1 million over the first five years, not to exceed $250,000 annually. Ferguson also wants to extend the deadlines in the original agreement, and ensure that the terms “will not apply to other governmental entities or agencies who, in the future, take over services now provided by the city,” according to the Associated Press. “The Department of Justice must accept the seven amendments in order for the settlement agreement to be valid,” the city said in a statement. “I don't think there's anything unreasonable” about the amendments, councilman Bell said on Tuesday night. Ferguson’s accountants calculated that the cost to the city would be up to $3.7 million for the first year alone and between $1.8 and $3 million for each year afterward. At the meeting on Tuesday, critics of the settlement pointed out that the city’s budget is only $14.5 million and is already suffering from a $2.8 million deficit, largely due to legal fees, loss of tax revenue and paying police overtime during the protests. In a statement on Wednesday morning, however, the Department of Justice disagreed. Ferguson became the epicenter of civil rights protests in August 2014, after a city police officer shot and killed Michael Brown, an 18-year-old African American. While clearing the officer involved in the shooting of wrongdoing, the DOJ issued a scathing report in March 2015, condemning Ferguson for systematic racial bias in law enforcement. The city was accused of targeting the city’s African-American population for fines and jail time, using the funds thus collected to fill up municipal coffers. Ferguson’s manager and police chief resigned in the aftermath, and the city opened up talks on accepting federal supervision. The agreement, sent to Ferguson by the DOJ on January 26, requires hiring a monitor, instituting police diversity training, and spending money on software and staff to keep track and analyze information on arrests, use of force incidents and other police matters. Civil rights activists have joined the government in criticizing Ferguson’s amendments, saying that the changes could potentially undo the entire agreement. 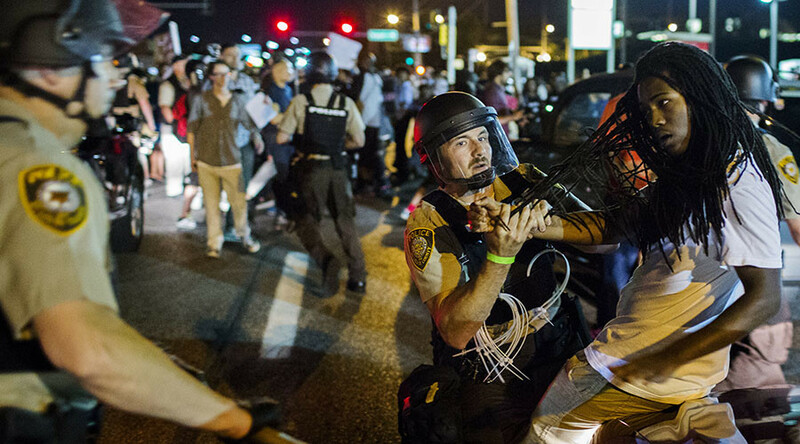 The Department of Justice has threatened legal action to force Ferguson’s compliance with the terms of the settlement. Some residents present at the meeting on Tuesday said they are ready for the fight. “I would rather lose our city by fighting for it in court than lose it by giving in to the DOJ's crushing demands,” said Susan Ankenbrand, a resident for 41 years, according to AP.